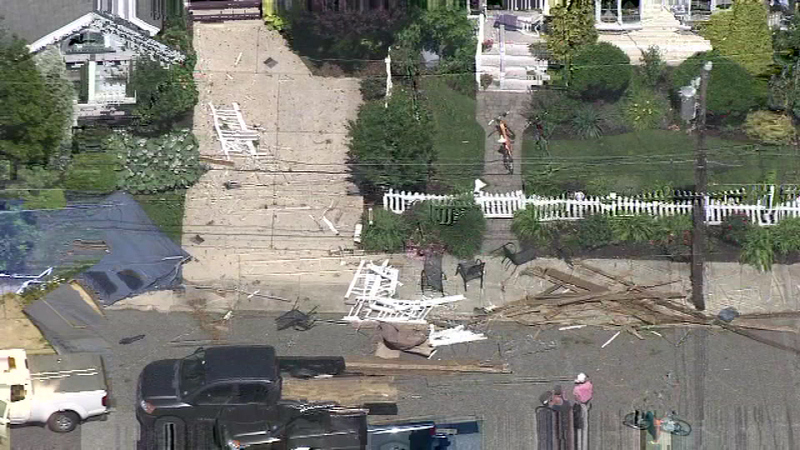 The cleanup begins after a powerful summer storm in Cape May County. 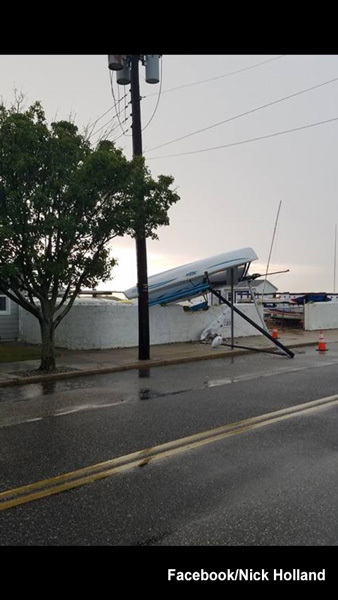 CAPE MAY, N.J. (WPVI) -- A microburst, not a tornado, swept through Cape May County Tuesday afternoon causing severe damage, the National Weather Service says. 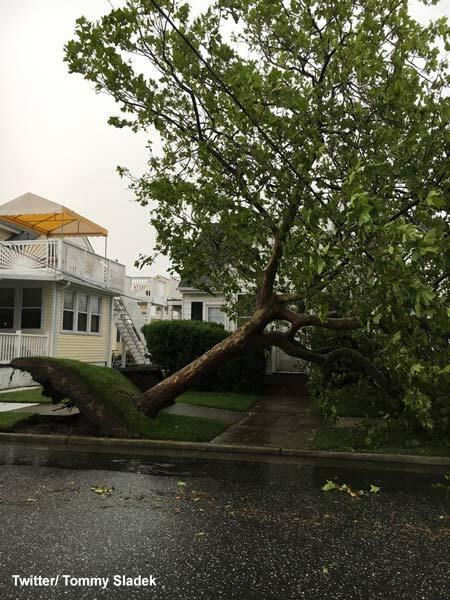 "Survey team has determined damage in Cape May Co due to a microburst. 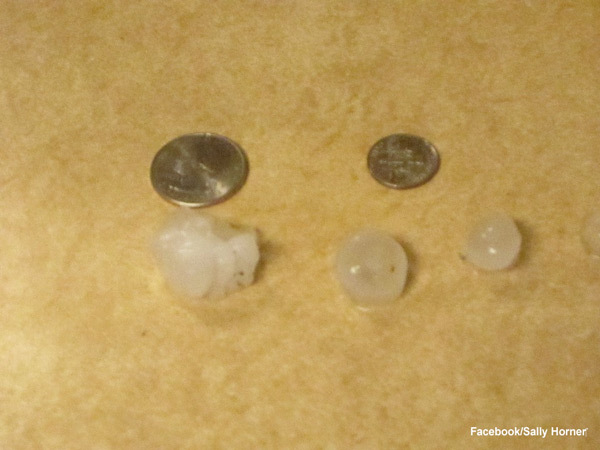 More details will be released in a statement later this afternoon," the NWS Philadelphia/Mount Holly tweeted Wednesday. 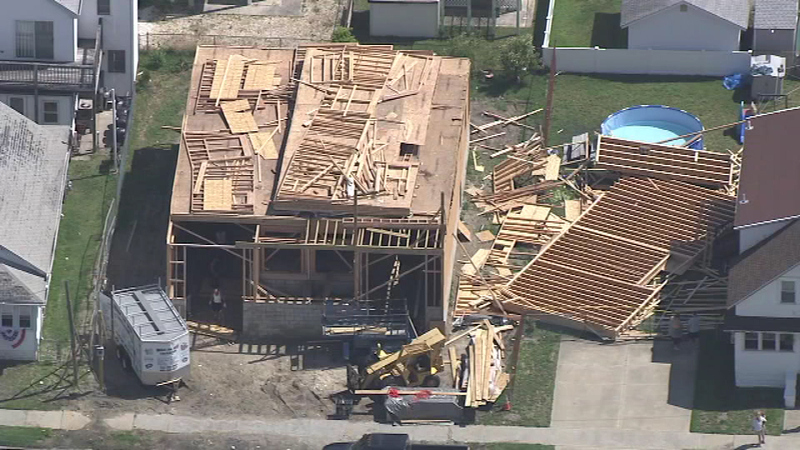 Survey team has determined damage in Cape May Co due to a microburst. More details will be released in a statement later this afternoon. 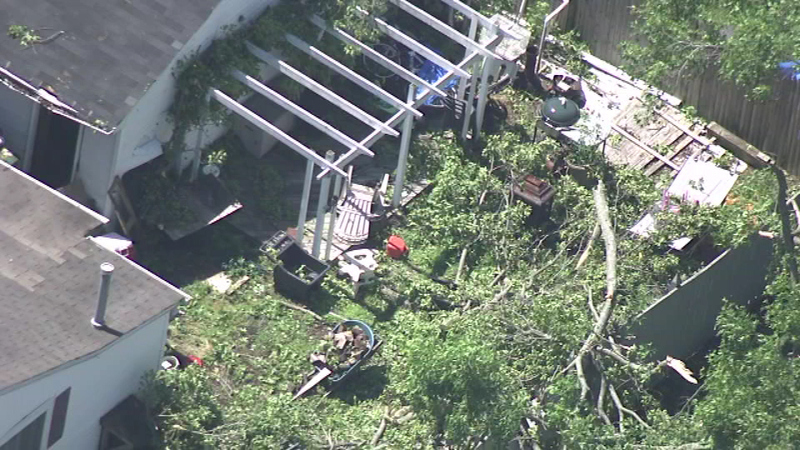 The cleanup continues in Cape May County after Tuesday's storm. 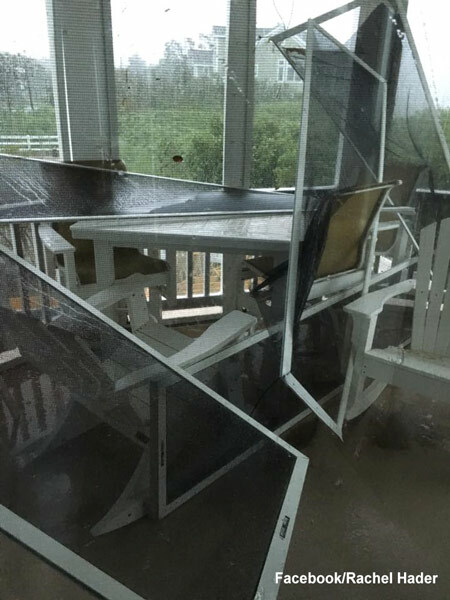 The National Oceanic and Atmospheric Administration describes a microburst as, "a localized column of sinking air (downdraft) within a thunderstorm and is usually less than or equal to 2.5 miles in diameter. 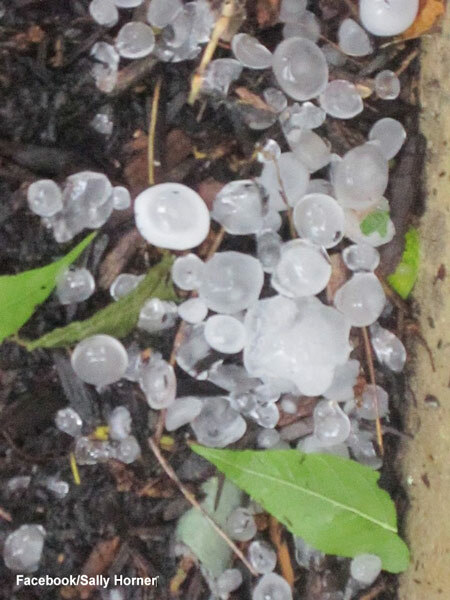 Microbursts can cause extensive damage at the surface, and in some instances, can be life-threatening." The NOAA says wind speeds in a microburst can reach up to 100 mph, or even higher, "which is equivalent to an EF-1 tornado." 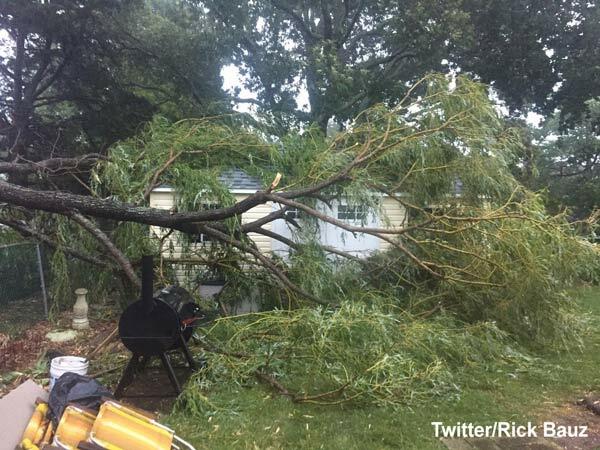 The wind speed in Tuesday's storm reached 80 mph. 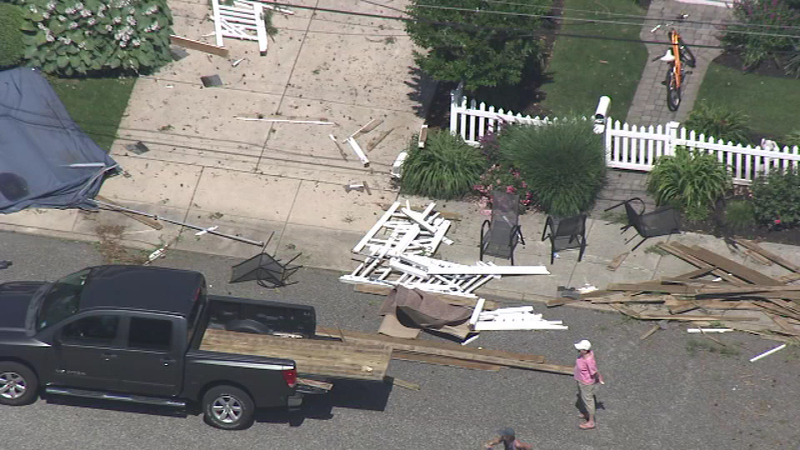 Chopper 6 HD surveyed damage at the Jersey Shore following Tuesday's storms. 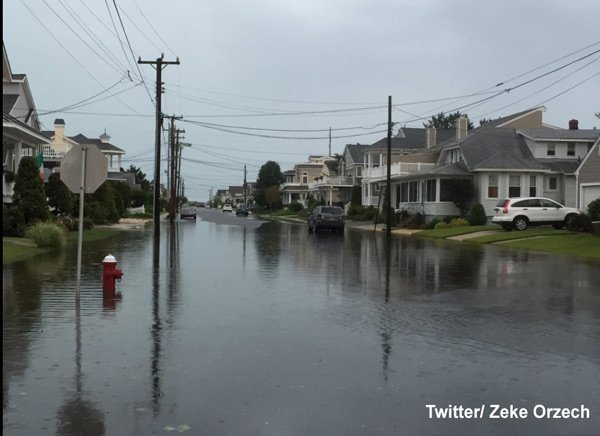 Crews and homeowners in Cape May County began the cleanup Wednesday. 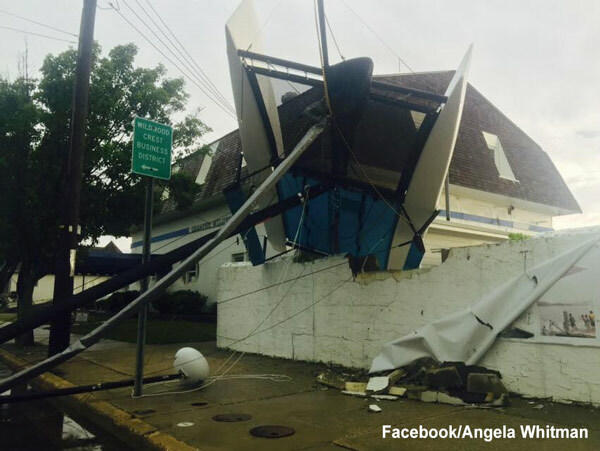 The storm created tons of damage in Cape May County. 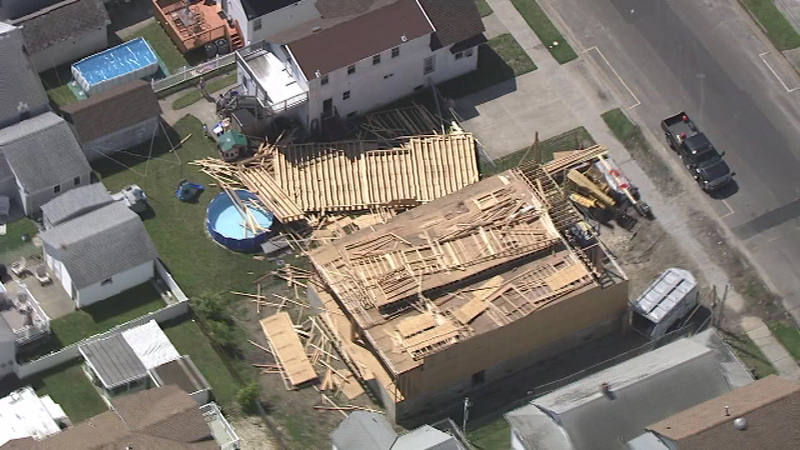 The storm completely destroyed the roof of the public works building on Garfield and Susquehanna streets in Wildwood, New Jersey. 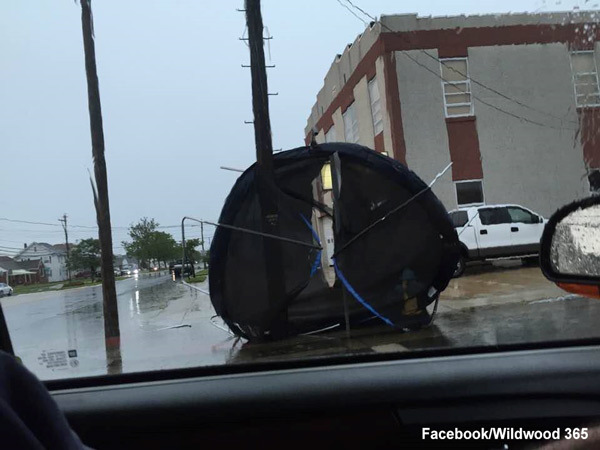 The roof of the public works building in Wildwood was blown off in the storm. The roof was blown off and landed approximately 25 feet behind the building. 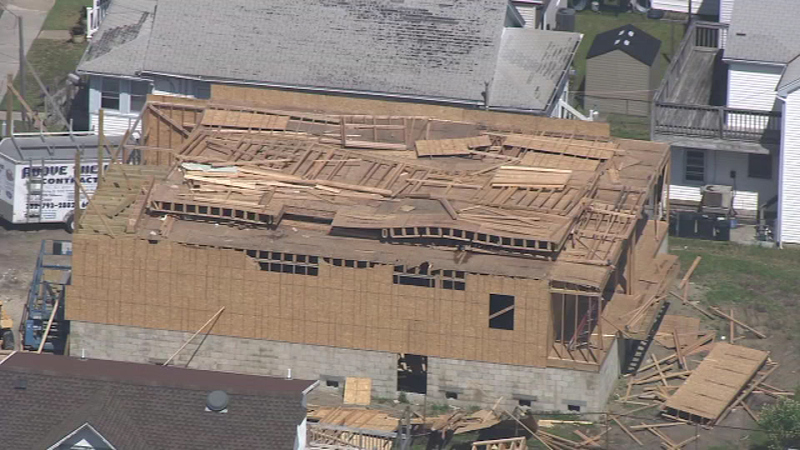 Chopper 6 at damaged public works building in Wildwood, NJ. 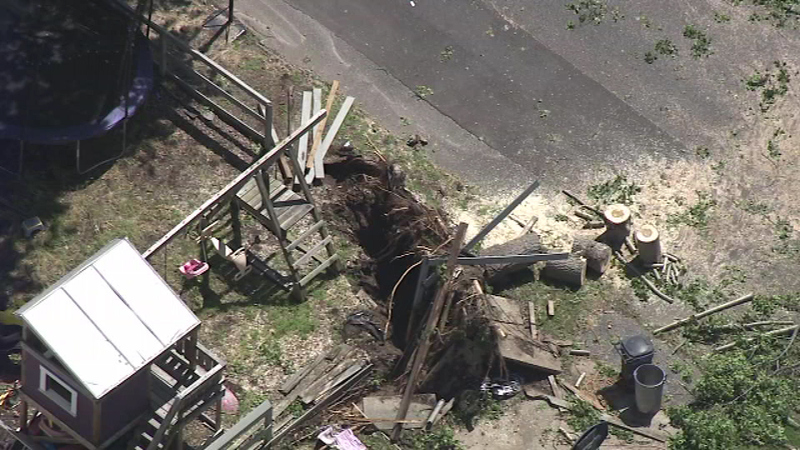 Chopper 6 surveyed the damage in Cape May County Tuesday night. 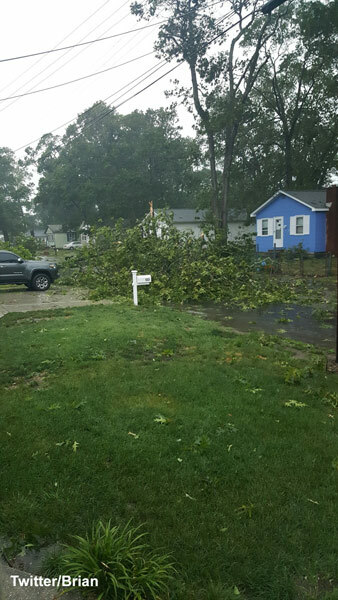 A downed tree damaged a home on the 100 block of West Cresse Avenue in Wildwood. 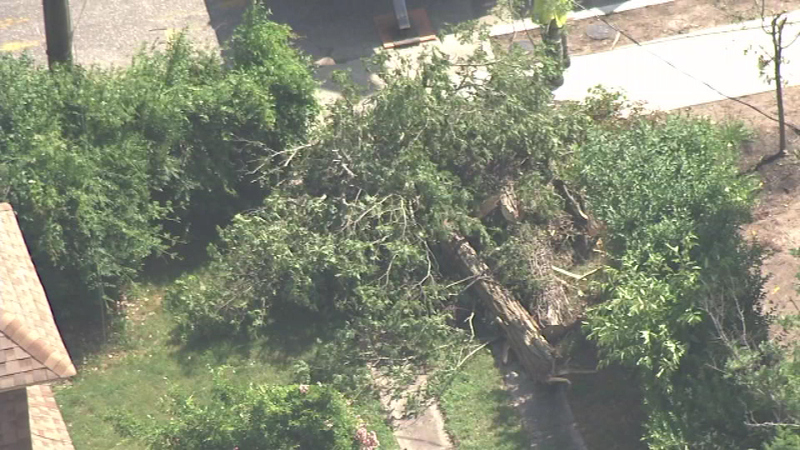 Chopper 6 over a downed tree on W. Cresse Avenue in Wildwood. In North Wildwood, crews worked to clean up the dunes at 19th Street after portions of the rooftop of 1900 Boardwalk were blown off. 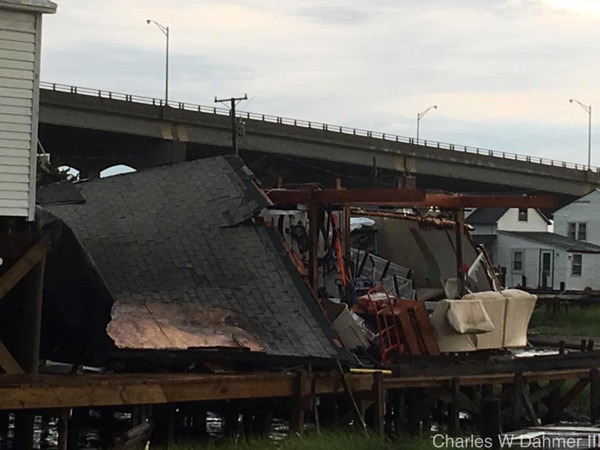 There was also damage to the Sportland Pier. Crews clean rooftop debris off the beach in North Wildwood. The powerful winds flipped a plane at Cape May County Airport in Rio Grande, New Jersey. 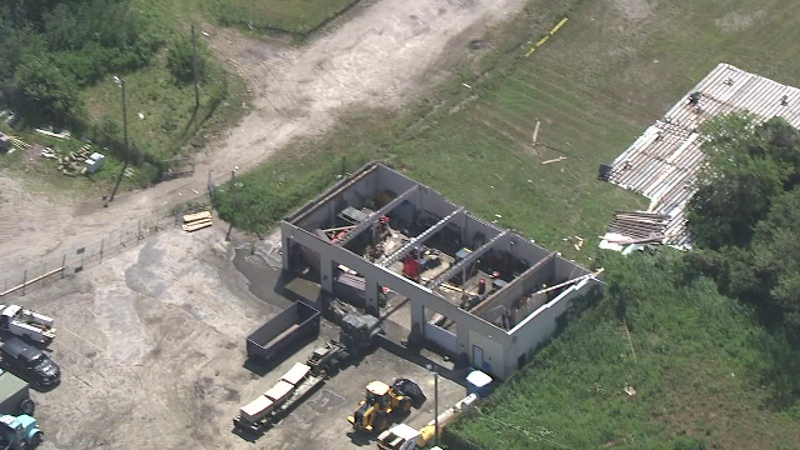 Chopper 6 over a flipped plane at Cape May County Airport in Rio Grande, NJ. 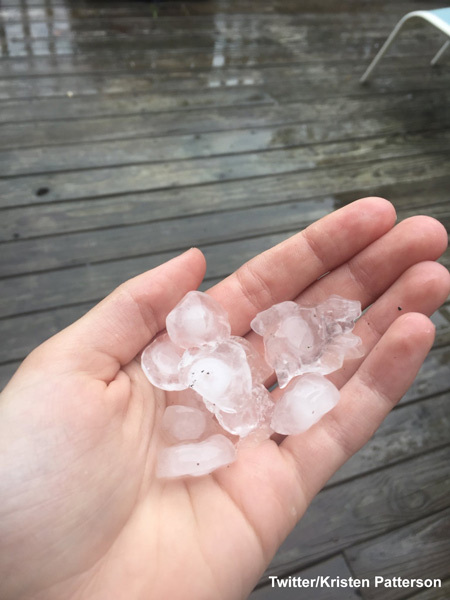 According to Atlantic City Electric, "Approximately 39,000 customers lost service at the height of the storm in the hardest hit areas of Lower and Middle townships, including the Wildwoods." They say power has been restored to more than 34,000 customers since the onset of the storm. 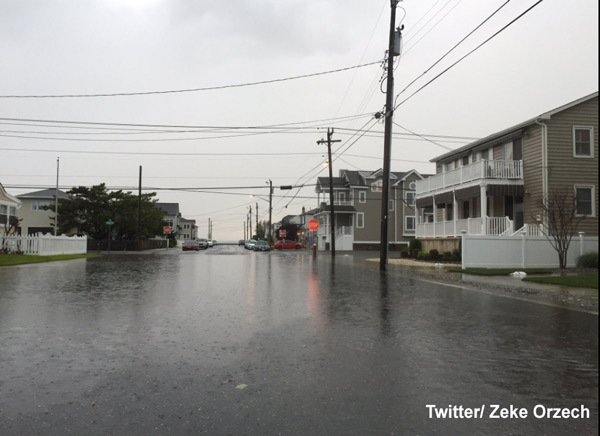 Hail and heavy rain were also part of the storm system, with some streets in Wildwood flooded. 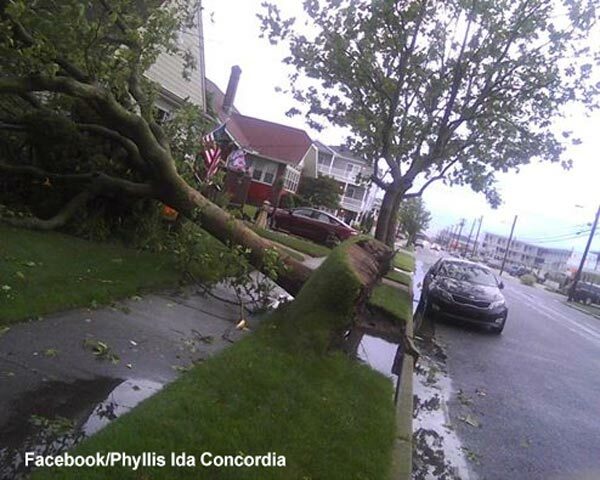 The storm created lots of damage in Wildwood, NJ.